Washington, DC, the District of Columbia, is the capital of the United States. Its attractions include some of the world's most famous monuments, memorials, museums, and landmarks. The U.S. Capitol, Washington Monument, White House (pictured at left), and Smithsonian Museums, are among a plethora of historic sites and buildings, and other attractions along the National Mall. The Mall and the Tidal Basin, famous for its annual spring display of Cherry Blossoms are located in in the center of DC. 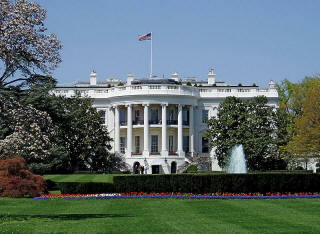 Washington DC sits at the center of a region which is traversed by the Potomac River. Many of the Capital area’s most famous attractions are found in Northern Virginia, To the north, east and south are the Maryland suburbs offering a multitude of attractions (as well as nearby Baltimore and Annapolis).